This week, we'll be introducing one new blog member each day of the week. Today's post comes from Mike Wheeler. You can find Mike on Twitter at @TheMikeWheeler, and you can check out all our new authors' bios here. For his inaugural post, Mike brings us breaking news out of Detroit. 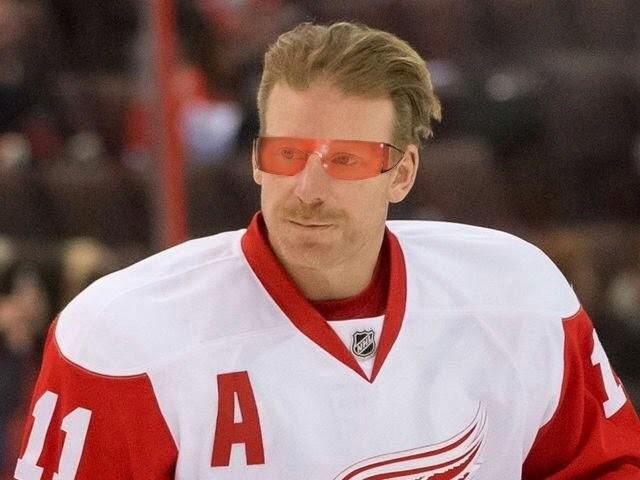 DETROIT, MI - Daniel Alfredsson’s playing career may be coming to an end as recurring back problems are causing the former Senators captain to seriously consider retirement. The setback comes as a shock to the Detroit Red Wings who were expecting a healthy Alfredsson to arrive at training camp earlier this month. The NHL star re-injured himself when the discovery of a new, free U2 album on his iPhone caused him to literally jump for joy. 2014-15 Sens Preview with "Scoops Callaghan"